Any source, to any database or warehouse. To: SQL Server, Redshift, S3, Snowflake, etc. On-Premise, or in the Cloud. Connect Power BI to live data from 100+ Enterprise data sources for real-time visual reporting. Our Drivers are fast. Really fast. In fact, over twice as fast as other Drivers for Big Data integration. The easiest way to connect MuleSoft to data - any data, anywhere. 100+ New SQL-based Connectors dramatically simplify Enterprise Data Connectivity. One Vendor. 100+ Data Sources. 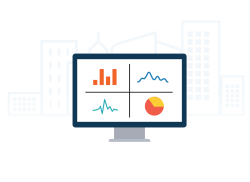 Connect your BI, Analytics, ETL, & Custom Applications with most comprehensive portfolio of standards-based drivers. The latest release features across-the-board updates to our Drivers, new data sources, new SSIS Tasks & Components, JDBC, & ADO.NET updates. The CData Drivers work with SAS solutions, providing data connectivity to 150+ enterprise data sources for SaaS, NoSQL, and Big Data integration. Real-time SQL-92 connectivity to Couchbase Query and Analytics engines deliver unprecedented performance and broad-spectrum connectivity. Stop by our booth at the Gartner Data and Analytics Summit 2019, March 18-21 in Orlando, Florida to learn more about the latest advances in data connectivity. CData Cloud Hub acts as a highly responsive data layer for building next-generation business Apps and workflows with Microsoft Power BI, PowerApps & Flow. Google BigQuery is a popular data warehouse destination for CData Sync. 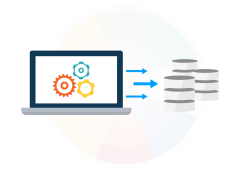 Learn how to setup and configure automated continuous data replication with Google BigQuery. In a recent report from Gigaom Research, Lead Analyst Andrew Brust dives deep into the challenge of fragmented organizational data, and how Data APIs can help. Stop by our booth at Strata, September 11-23 in New York, NY to learn about the latest updates in SaaS, NoSQL, and Big Data Drivers & Data Virtualization. The latest release features across-the-board updates to our Driver engine, new data sources, ADO.NET updates, and new Sync & API Server features. The easiest way to connect MuleSoft with SaaS, NoSQL, & Big Data. Data-centric Connectors that dramatically simplify integration with Enterprise data. Stop by our booth at the Microsoft Business Apps Summit, July 22-24 in Seattle, WA to learn about the latest updates for Dynamics, PowerApps, and PowerBI. Unicode-enabled 32/64-bit ODBC 3.8 compliant Drivers for Linux/Unix and macOS are now shipping for almost every supported ODBC data source. Stop by our booth at the Gartner Data and Analytics Summit 2018, March 5-8 in Grapevine, Texas to learn more about the latest advances in data connectivity. Automate SaaS/Cloud data backup and replication with any on-premise or cloud database. Supports popular Apps for CRM, ERP, Accounting, and more. Redis partnership yields seamless connectivity to any Redis data structure through industry standard driver interfaces like ODBC, JDBC & ADO.NET. Power your ETL and Data Warehousing solutions with industry-leading data loading. Unmatched performance with Redshift and BigQuery. SlicingDice chooses CData Software to build standards-based ODBC, JDBC, and ADO.NET Drivers with their Serverless Data Warehousing platform. Stop by our booth at API World 2017 - the world's largest vendor-neutral API conference and expo, organizing the API Economy. The result of a year-long collaboration effort with Embarcadero, the new FireDAC Connectors enable new data connectivity for developers. Our ODBC Drivers for Mac offer straightforward SaaS, NoSQL, and Big Data connectivity directly from Microsoft Excel on macOS. The power of standards-based data integration: Our latest post combines API Server & Node-RED to connect data without code. Our latest MongoDB Drivers support DBaaS platforms, including Atlas and Azure Cosmo DB. API Server Released: Publish professional APIs from Any Database. Instantly generates flexible, comprehensive, and fully documented APIs from any source. Stop by our booth at Microsoft Build 2017, May 10-12 in Seattle, to learn about the latest CData updates for Microsoft technologies. New Post: Developer Strategies to Mitigate SaaS Interruption. Leverage the built-in caching capabilities of our drivers to build faster and more stable data access. ADO.NET Data Providers Sim-Ship with Microsoft Visual Studio 2017. As Visual Studio 2017 Launch Partners, we are honored to join Microsoft in celebrating the 20th anniversary of Visual Studio! PowerShell Data Cmdlets Released: 80+ popular source Cmdlets. 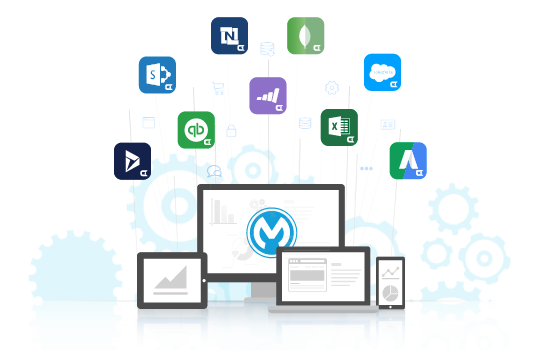 Easy-to-use Cmdlets with simple SQL interfaces to Salesforce, NetSuite, MongoDB, Dynamics, Marketo, SharePoint & more! Our new desktop subscriptions offer users the easiest & fastest way to integrate live data from virtually anywhere. Come to the 2017 Gartner Data and Analytics Summit, March 6-9 in Grapevine, Texas, and meet the CData Software team. Learn how Fujitsu uses our Drivers to connect their Dynamic CRM incident tracking and SharePoint-based global communications portals. 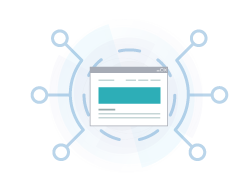 The NuGet Gallery simplifies the process of installing, managing, and updating our Drivers from popular NuGet client tools like Microsoft Visual Studio. New ODBC Reader for TensorFlow allows users to connect Google TensorFlow machine learning with any SQL-92 compliant ODBC Driver. Find out more about the latest CData news and updates on our Blog. Universal data connectivity through standards-based Drivers. SQL interfaces insulate users from the challenges and complexities of data integration. Solving today's most pervasive Data challenges, including on-premise accessibility, remote data access, data replication, and SQL enablement. Leading BI & ETL Vendors, Data Lakes, Data Warehouses, SaaS Apps, & hundreds of independent ISV's, partner with us to solve their connectivity challenges. "We liked that any engineers with RDBMS/SQL knowledge could use the CData Drivers without having to learn anything new. Being able to use standard SQL instead of APIs is awesome. As professional engineers, we actually prefer simpler products like CData." "We chose CData Data Sync for NetSuite to replicate our NetSuite cloud data to a local database instance for reporting. Despite our initial inexperience with NetSuite, the CData support people were extremely helpful and supportive. The initial "out of the box" experience was great. A great tool, with great value and outstanding support." "I have been using the ODBC driver with SAS to connect to Salesforce over the last two days and it has worked brilliantly. It was quick and easy to install. There is very little documentation on the internet about connecting SAS to Salesforce so I was presently surprised how quickly I had it up and running. " "Whatever CDATA do to get the data out so fast using the QB APIs is awesome. It literally takes 3-8 secs to run through the 68K+ orders in our QB file and stage into SQL. It is certainly worth the cost for the product not to wait (sometimes 45mins+) for other products." "The support I received was unparalleled to that of any other company I have worked with (and there have been many). Your combination of a first class product with first class support has made this veteran programmer very happy!" "Your Google Excel Add-In is a masterpiece. I work 6 days a week and keep my calendar on Google Calendar. I have an old desktop and no printer. Getting the Google Calendar exported to Excel helps me immensely as I do not have an stable Internet at home." "I found that the CData Excel Add-In meets my needs the best and I have purchased/licensed that. I’ve already put it to good use in editing and batch-updating Quickbooks tables and it has performed flawlessly. " "I have recently been in contact with your support which has been offering support in attempting to get the CData ODBC Sage 50 UK driver to working on our PC with Sage. Support has been fantastic and if this is a reflection on your company I would have no hesitation in recommending you to anybody." "We have tried using other SSIS packages for NetSuite, and other SuiteTalk-based ETL tools for NetSuite, and have found most of them to have quite poor support for NetSuite, and many issues with connectivity. So far, CData looks very good." "I love the ease of use, the simplicity of your product. Trust me I have test driven almost everything on the market. For native integration I think you guys have hit the nail on the head with this one. I have played with several connectors ... Your Product out of the box is easy to use, makes native integration into any IT Project quick and easy." CData Software has been recognized as a top industry leader and innovator in Drivers & APIs for over 10 years.